It's been cuteness overload here lately. 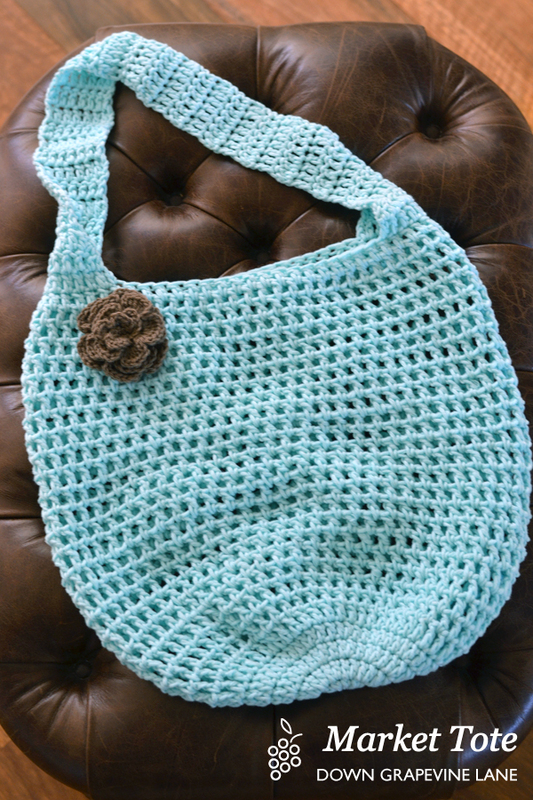 So I jumped at the chance when another hand-maiden asked me if I could make her a crochet market tote. Something 'grown up' for a change! 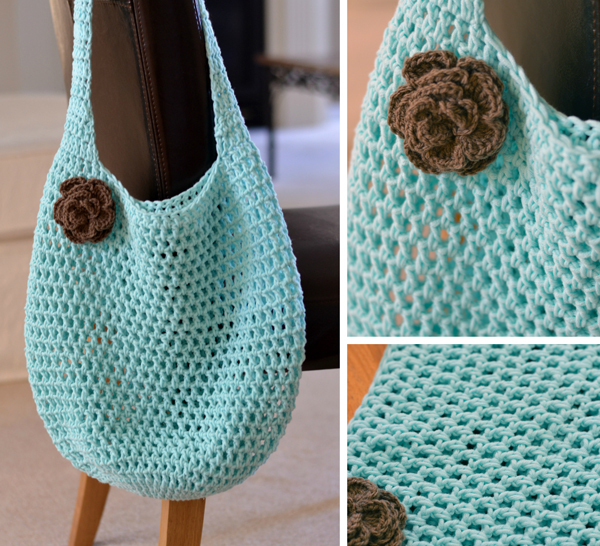 The free pattern for this tote is by Daisy Cottage Designs and is for a children's size one. It took me a few tries to adjust the pattern for the correct sizing to fit an adult. I used a larger hook (6.5mm instead of 5.5mm), started with 15 double crochets in the magic ring (instead of 12), and added an extra 3 rows after rounds 6-23 in the original pattern. And a couple of extra rows for the handles to make them longer. The yarn I used is Passioknit Fairytales Angel, and is available at Spotlight for those in Australia. It's a perfect duck egg blue / mint colour and a very lush and soft texture as well. 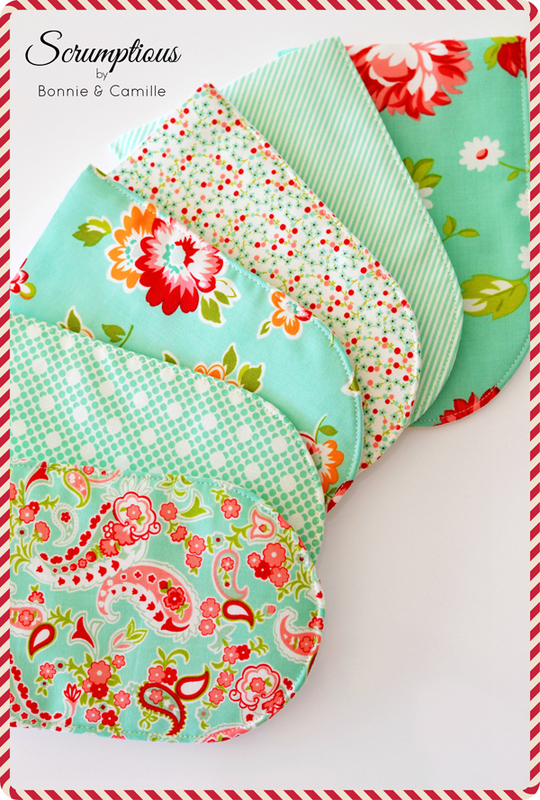 I also wanted to share a recent addition to my fabric stash - Scrumptious by Bonnie & Camille for Moda fabrics. I am a massive Bonnie & Camille fan, and this has to be one of their best to date. 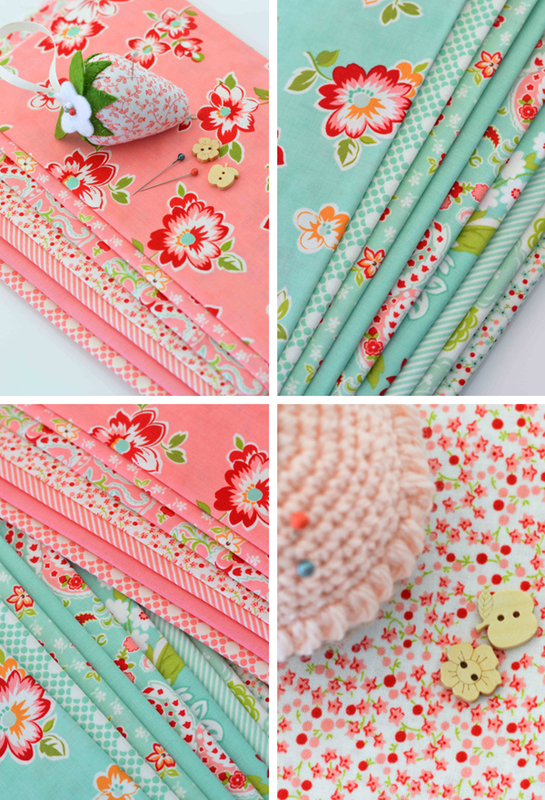 Both the pink and the mint colourways are gorgeous in their own right and perfectly coordinate together as well. 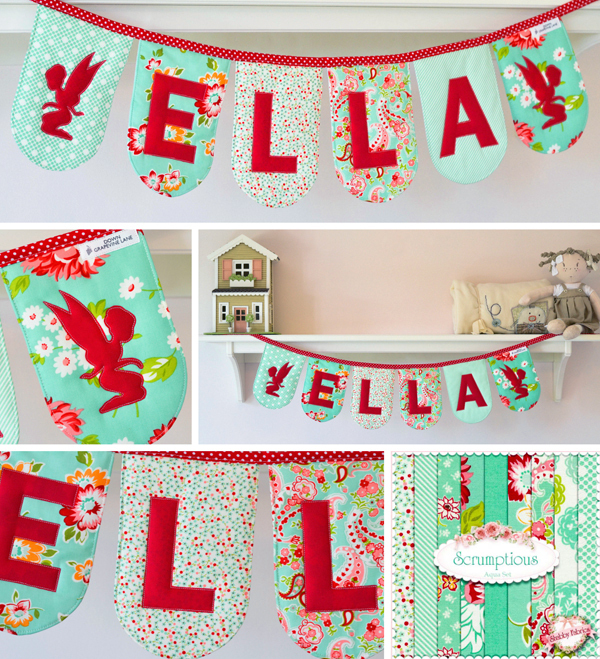 I haven't had a chance to use them in a personal project yet, but I made a couple of bunting for customers. Such a pleasure to work with such gorgeous fabric, and I can't wait to cut into more to make a patchwork cushion, or perhaps a quilt. Oh my! Do I ever love that fabric and your color choices for your yarn and market bag. I get so motivated when I see what others are making. 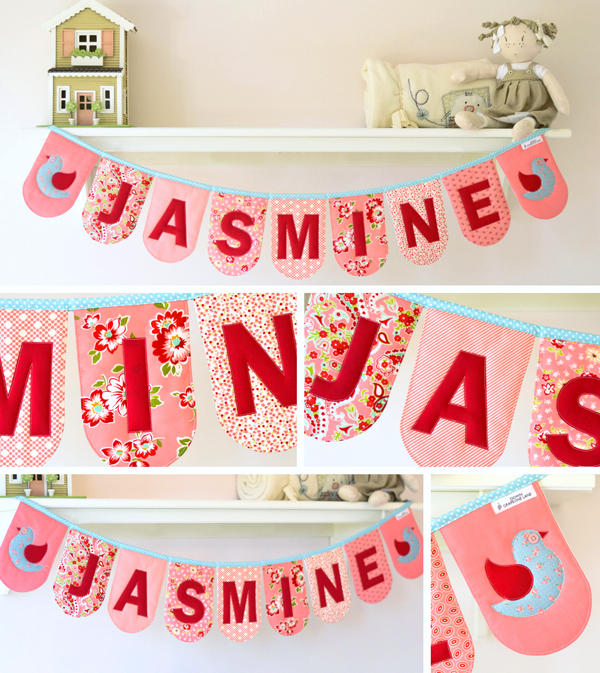 I need to get off my duff and get sewing and making! Happy May to you. I'll definitely be ordering some "Scrumptious" too.